Harrods is at it once again. They've only gone and announced what sounds to be the most spectacular holiday windows of the year. Let's just go ahead and say Harrods' Christmas windows are always epic. I haven't had a year in London yet when I wasn't telling Taxi drivers to take the long way home just so I could roll past and take in the magical world they create each holiday season. 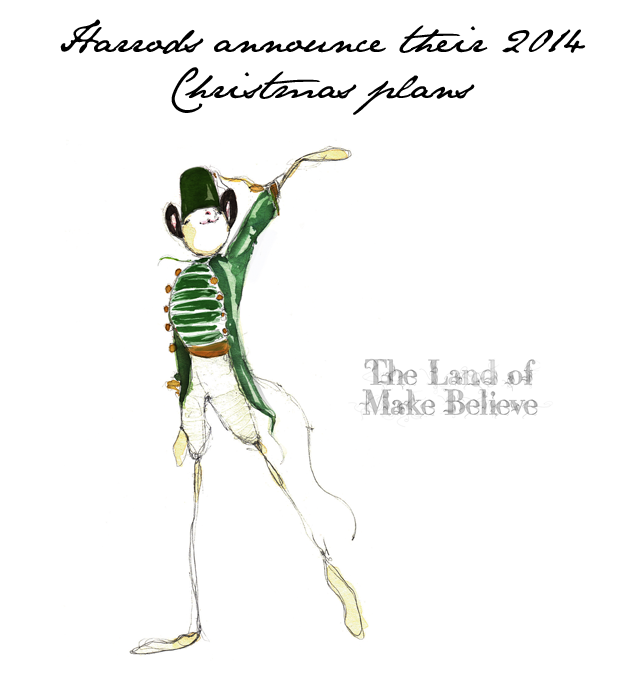 For 2014, Harrods definitely have something special up their sleeve and we're pleased to give you a few hints as to what to expect. First of all, the Harrods 2014 Christmas creation has a name. It's called the "Land of Make Believe." The Brompton Road windows will show Harrods come alive with oversized toys, with the help of some big name fashion designers. The final window will showcase Father Christmas lifting off for Christmas night. Oh, and there will even be a very special Land of Make Believe Christmas Grotto for kids and their families (oh you know I'm going to be bringing you coverage from here immediately as it opens - yes, I'm a Christmas nut). Look for all to be revealed on November 7th.